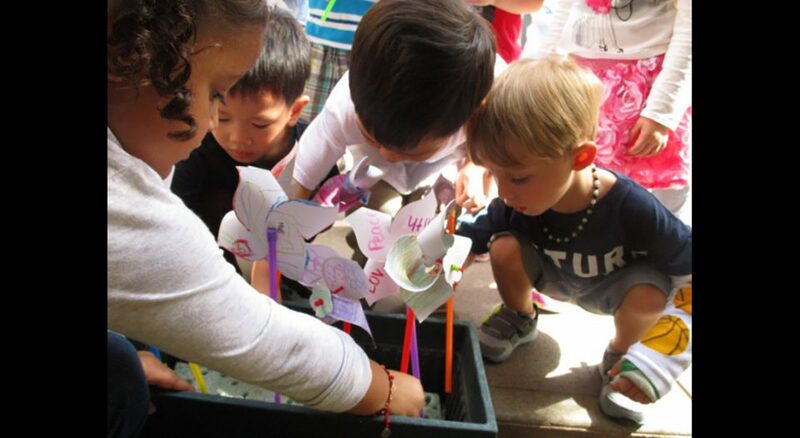 Students at Leif Ericson Day School observed International Day of Peace with peace pinwheels. 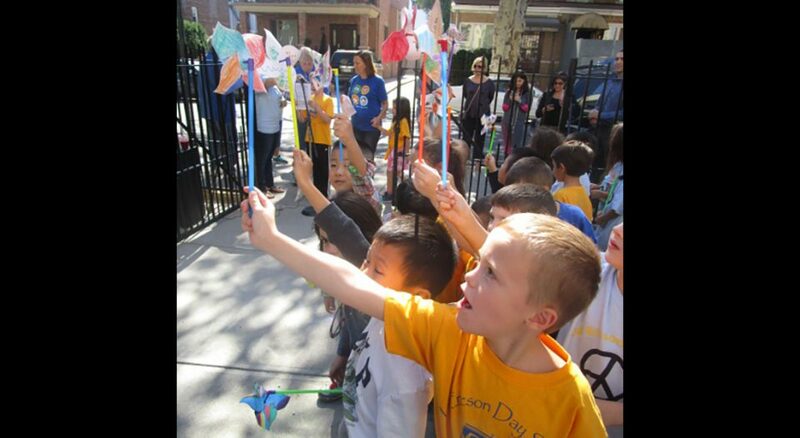 Students waved peace pinwheels outside Leif Ericson Day School in Brooklyn. A student from Leif Ericson Day School presses her thumb print on the school’s peace pole. Editor’s note: With global migration on the rise and cultural polarization increasing, there is a pressing need for peace among neighbors and nations. This article is part of the “Lutheran legacy of peacemaking” series, which explores Lutheran contributions to the Christian tradition of peacemaking. The series culminates in September in conjunction with the International Day of Peace (Sept. 21). 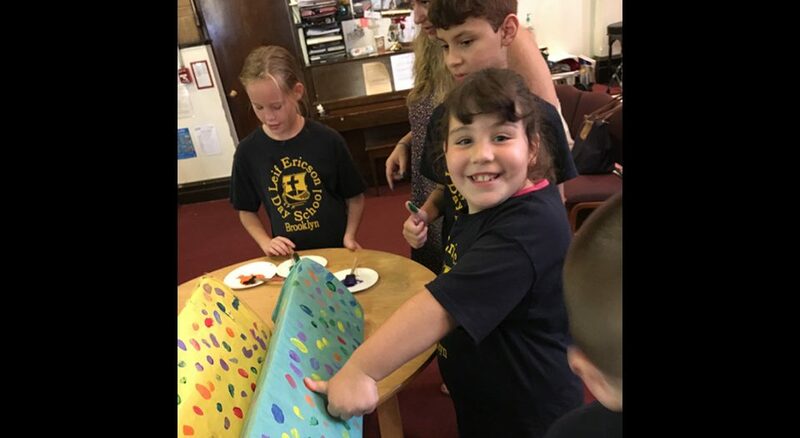 Students at Leif Ericson Day School in Brooklyn, a ministry of the ELCA Metropolitan New York Synod, are learning that the peaceful way is the best way. The 100 students, nursery through grade eight, will celebrate the International Day of Peace on Sept. 21, starting with chapel and ending with a community pot-luck supper. They’ll put thumb prints on peace poles that flank the altar and read the peace pledge outside the school in the afternoon amid a garden of peace pinwheels that they made. But the school doesn’t celebrate peace just on this one day. 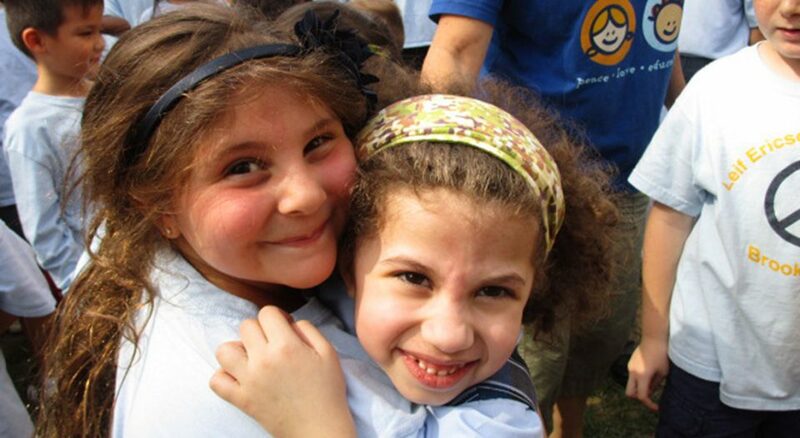 Peace is a year-round theme at the school, whose motto is: “Building a culture of peace; one day at a time, one student at a time.” The initiative began in 2005 when the school first celebrated the International Day of Peace. In addition to the peace poles that flank the altar in the school’s sanctuary, and peace events, students are taught to take the peaceful solution, Hauge said. They’re taught to respect the Golden Rule of treating others the way they want to be treated. When students are seen doing something good, like helping someone, tidying up a classroom, or making a peaceful choice, they earn peace slips. When they get to 10 peace slips, the older students can trade them for a day not to wear a uniform, and younger ones can pick from a treasure chest of goodies. The peaceful way is so popular with students, said Hauge, that one mother told her she could no longer yell at her kids for misbehaving because they call her out for not being peaceful. Graduate John Powers, now a high school freshman studying acting at the Professional Performing Arts School in Manhattan, was a peace-slip recipient many times over the years, most recently for tutoring a fourth-grader in social studies. “I believe that through the power of acting and sharing stories with others, I’ll be able to share the word of Jesus and peace,” he said. He also respects the Golden Rule. “If I had a classmate and I wasn’t’ treating them nicely—and they didn’t treat me nicely—it’s not a good thing to do. We need to put ourselves before others,” he said.